Bahraini sources have reported that Bahraini top Shia cleric Sheikh Issa Qassim have been admitted to hospital again over health concerns. The key opposition figure, in his late 70s, was hospitalized for two months last fall and underwent a surgery. A Bahraini appeals court confirmed one-year sentence against him and stripped him of the country’s citizenship in January. 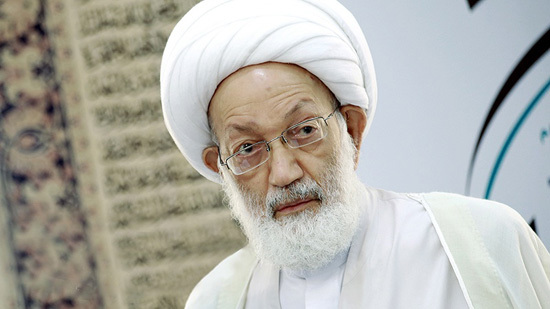 Sheikh Isa Qassim is leading an opposition movement in Bahrain against Sunni al-Khalifa dynasty demanding an elected government in the Shia majority country. According to the sources, the al-Khalifa regime has denied him appropriate treatment so far. He has been under house arrest for more than 324 days now.